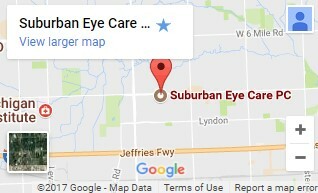 Suburban Optometric Associates first opened its doors in Livonia in 1964 by founders Dr. Lawrence Beecher and Dr. Ned Grover. They were graciously accepted into the community, and added Dr. John Jacobi as an associate in 1988. The hard-work, talent and ambition of the young doctor was recognized and he became partner in 1991. The practice moved to its current location in the heart of Livonia in 2000 with ample space for the growing practice, and the founders soon after eased into retirement with Dr. Jacobi as Owner and Clinical Director of Suburban Eye Care. Our building features over 10,000 square feet, with 25% of space devoted entirely to our Vision Therapy Center located in the basement. A long established and proud tradition of exceptional care was established in 1964 and continues on today and into the future. By staying current with the latest developments in eye care, prescription lenses and advances in contact lens technology, our vision center can provide you with the best vision, advice and fit today—and in the years to come. Our Livonia eye doctors take pride in building lasting relationships with our patients, which is why we take the time to get to know you, your vision requirements and your lifestyle needs. Contact our eye care clinic today to find out how we can help.